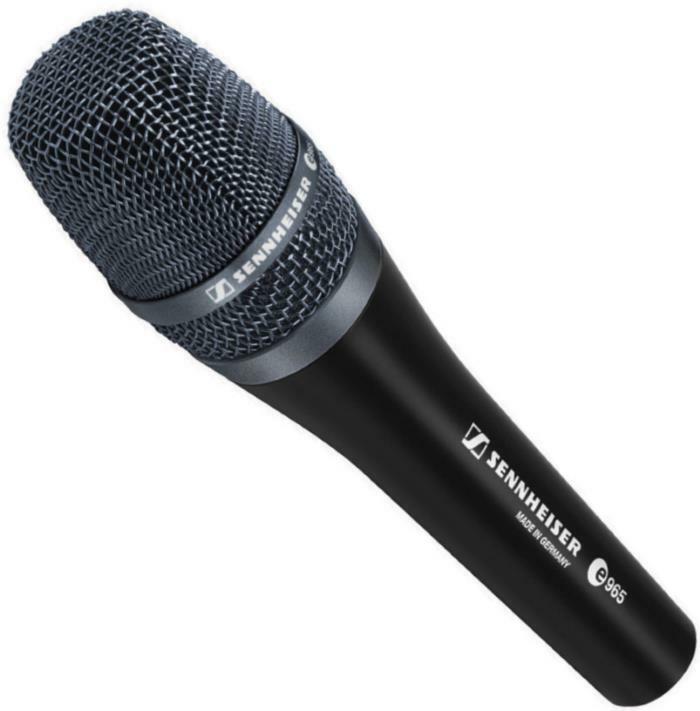 The e965 is Sennheiser's top-tier handheld microphone for live singing - it has large dual diaphragms designed to get as close as possible to the sonic qualities of their studio mics. It has a shock mounted capsule and built in pop and wind shield. It also has a low cut switch to reduce ambient and wind noise. Both the polar pattern and 10 dB pad switches are located under the grille which you have to unscrew in order to access the switches - this makes it impossible for the singer to accidentally switch them on stage. Positive reviews focused on the quality of the mic's build and the clarity of its sound. Several reviewers compared it to the Neumanns KMS 105 and said that the Sennheiser e965 was the superior option. The only complaint was that it's an unforgiving mic - if you have any problems with your singing voice then this mic will faithfully capture those flaws. This is a good choice for talented lead singers, both male and female, but is probably over doing it for backing vocalists who don't need to cut through the mix as much. This was one of the mics we were recommending for live vocals until August 2017, the only reason it's no longer on our recommended list is because there are now some higher rated options available - you can see our current recommendations in our guide: The Best Live Vocal Mics.